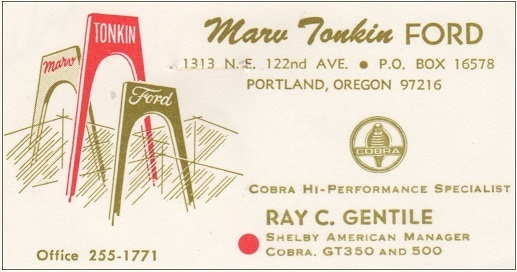 Marv Tonkin Ford was located at 1313 Northeast 122nd Street in Portland, Oregon. Here Marv puts the sales pitch on a prospective Mustang buyer. 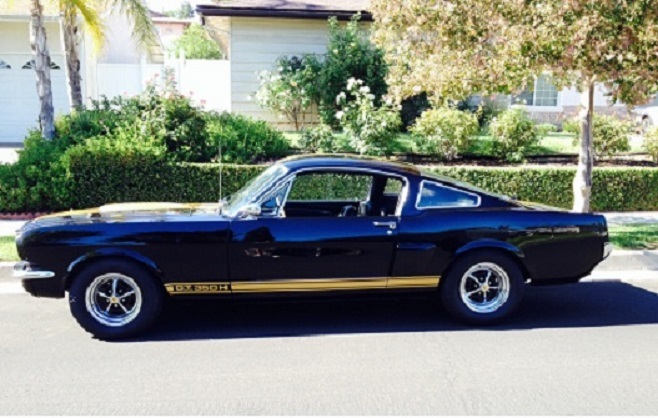 Tonkin's Shelby sales were strong. He was ranked number 12 all time. Marv's brother, Ron sold Chevrolets in Portland. 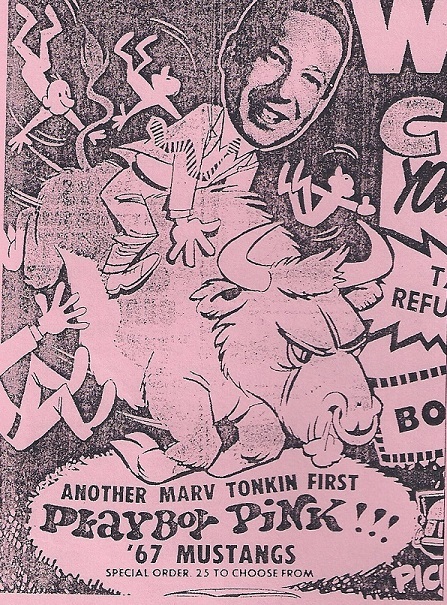 I found this great Marv Tonkin promotional picture on eBay. It was taken a year before the Mustang made buyers crazy. Ray Gentile was the man to talk to when you needed a Cobra Hi-performance specialist. Vern found this Tonkin stamped postcard. Tonkin sold 8 1965 Shelbys and followed that up with 23 cars sold during 1966. This is SFM6S1605 , a black and gold Hertz car. 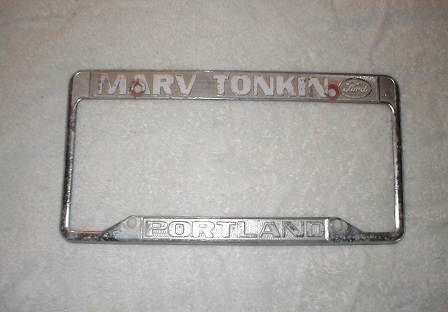 One of 3 shipped on 4/7/66 to Marv Tonkin Ford- Portland, Oregon, total cost $3,859.75 . 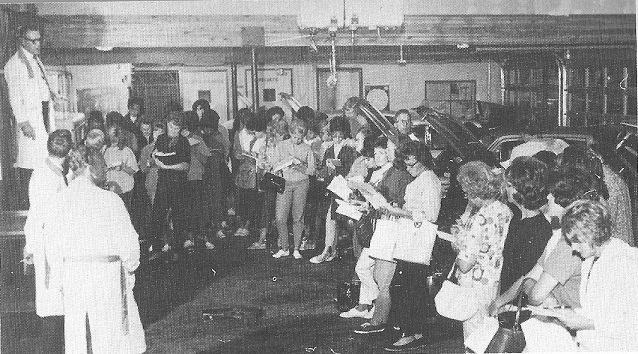 The dealership had seminars directly aimed at women. It taught them the basics of auto mechanics. Here over 60 women attend a lecture by the service manager. At times the class had over a hundred ladies on the waiting list. 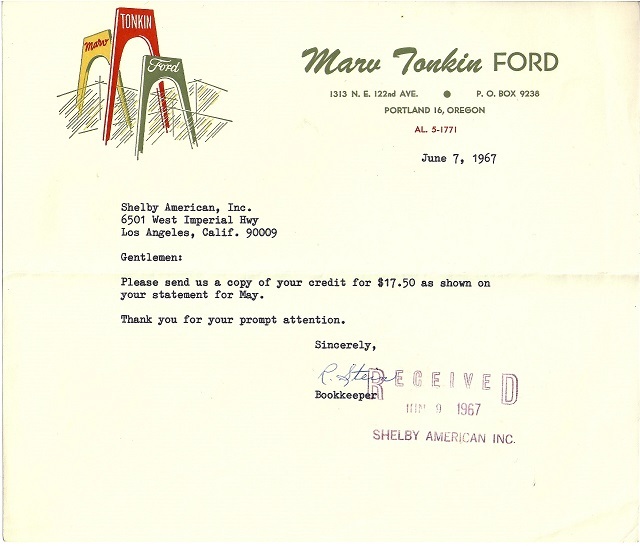 Vin found this Tonkin stationary, approriately address to Shelby American and dated 1967. 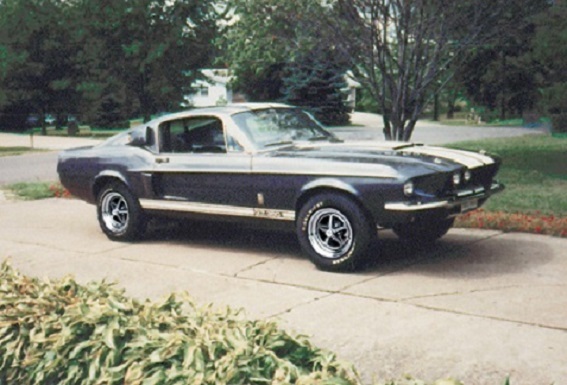 Tonkin increased his 1967 Shelby sales to 43 cars. "One of those cars was 67200F6A00142. 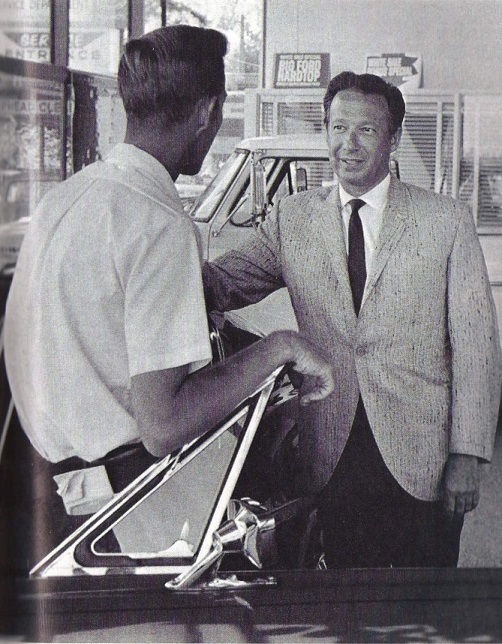 Marv Tonkin Ford purchased and registered vehicle on February 25, 1967 becoming the 1st owner. The dealership repainted the car Wimbledon White with blue stripes and drag raced it in "MODIFIED PRODUCTION" with the following modifications: Car was sent to Bill Stroppe for /AFX style suspension, (details in MARQUE Vol. 3, No. 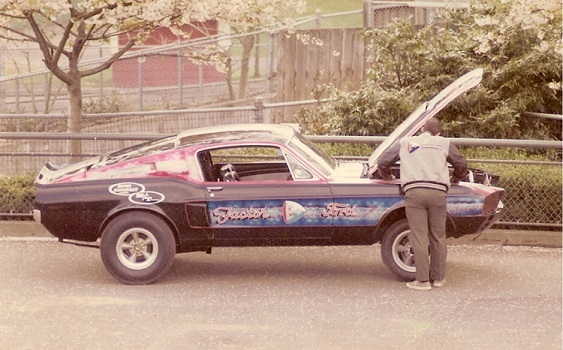 4, page 52) used on ’66 GT 350 Drag cars, side discharge exhaust similar to road-race cars, full interior (required for "Modified Production" in 1967), radio was removed (block-off plate added), battery moved to the trunk, twin electric fuel pumps were added and they removed the power brake booster and power steering components. The second owner as part of the purchase agreement had to remove the Tonkin identification and he added his company identification "Factor E Ford" and a custom paint job. 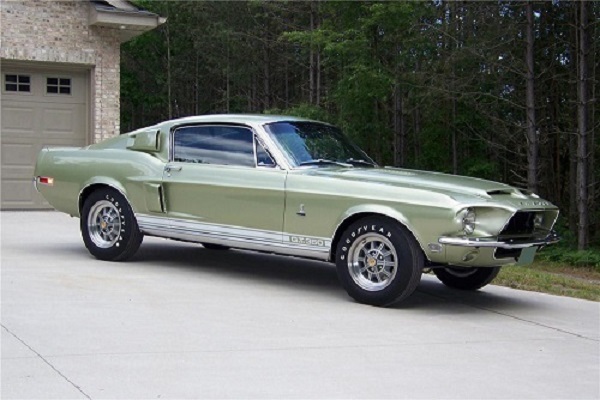 The current owner's restoration restored the original rare, Medium Metallic Gray paint." Tonkin's advertisements are my favorites. Anyone that puts their head on a cartoon body is cool. Here is Marv selling special paint cars! 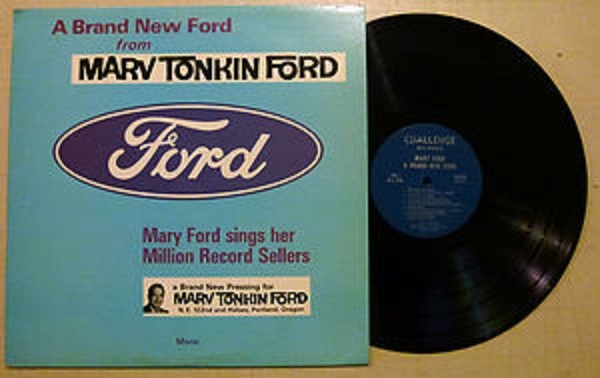 No collection would be complete without the Marv Tonkin record album. Every Shelby dealer worth his salt had a visit from a Playmate. Here is Kelly Burke, Miss June 1966. 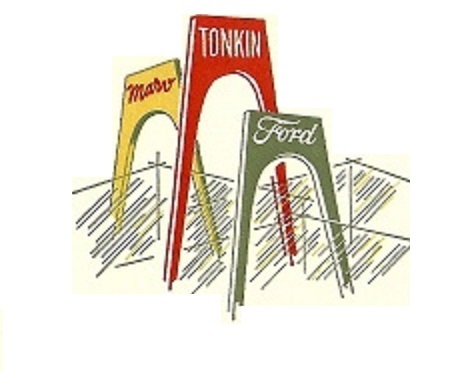 Tonkin sold dozens of pink Mustangs. Tonkin only sold a few special paint Shelbys. 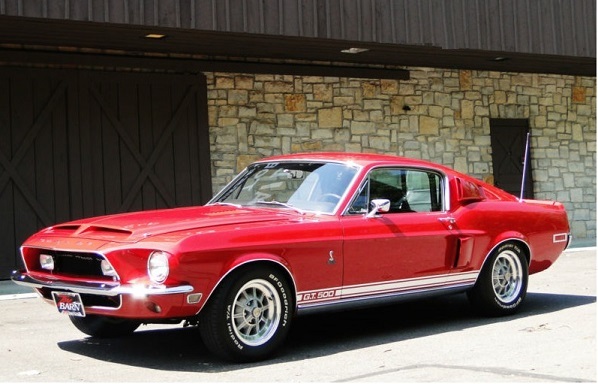 1968 number 330 is a concours restored GT350. It is a SAAC Gold car. The car is a Lime Green 4speed. It is one of the 60 Shelbys Tonkin sold that year. The car has been updated with the correct hubcaps and new tires. Number 382 also came through Tonkin's dealership. 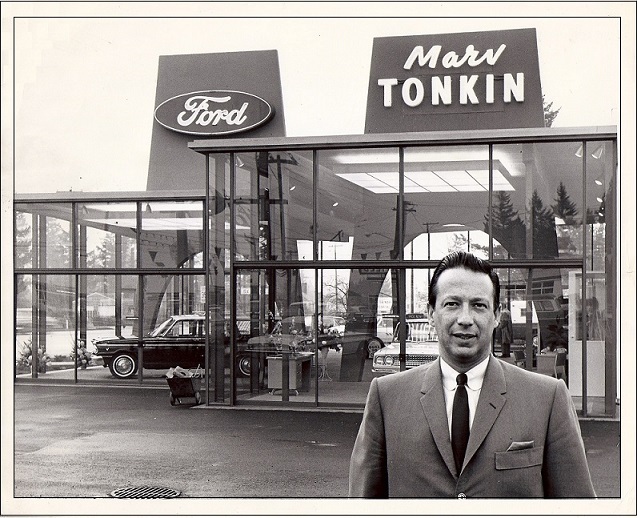 Today the site of Marv Tonkin Ford is occupied by Courtesy Ford and Lincoln.